Remember when I was in South Africa MONTHS ago? Well I neglected to write about perhaps one of my favourite activities while there (aside from the most buttery, fabulous steak I ever consumed in my entire life, and riding around on a Segway… it’s the future, by the way). 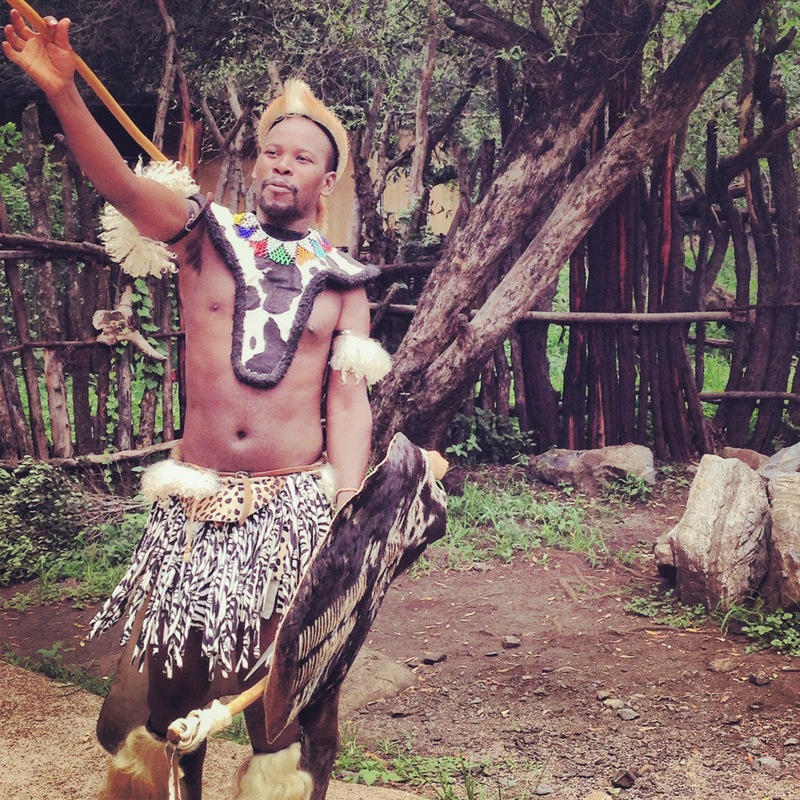 Lesidi is a cultural village that is home to five of the main tribes that make up the geographical area of South Africa: Zulu, Xhosa, Pedi, Basotho and Ndebele. The village is separated into these tribal units, which are built and inhabited by members of the tribes in the most traditional manner. 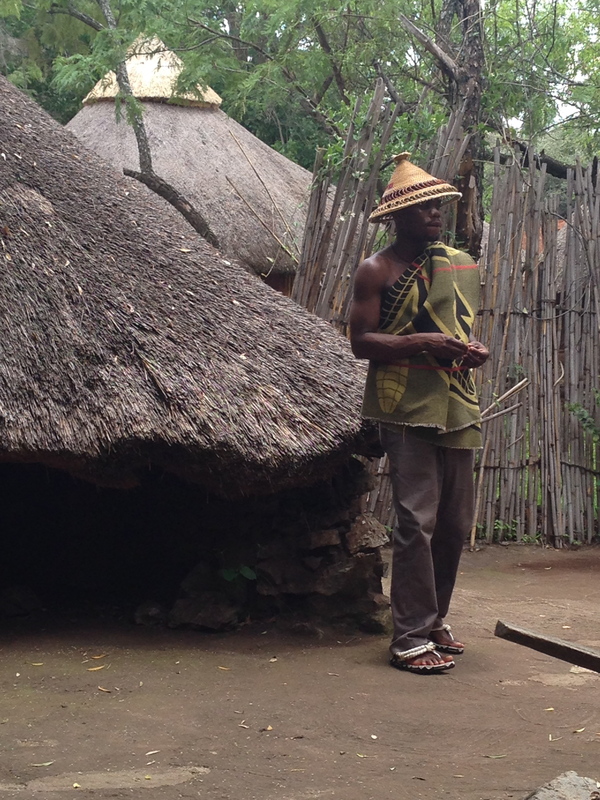 We arrived in the early afternoon and were greeted by members of the tribes, singing together and drumming. The kids were my favourite, jumping around and dancing in their unique ways, they ran to grab our hands and pull us into their strange music. We toured each sector of the village, learning about each habitats customs and community dynamics. 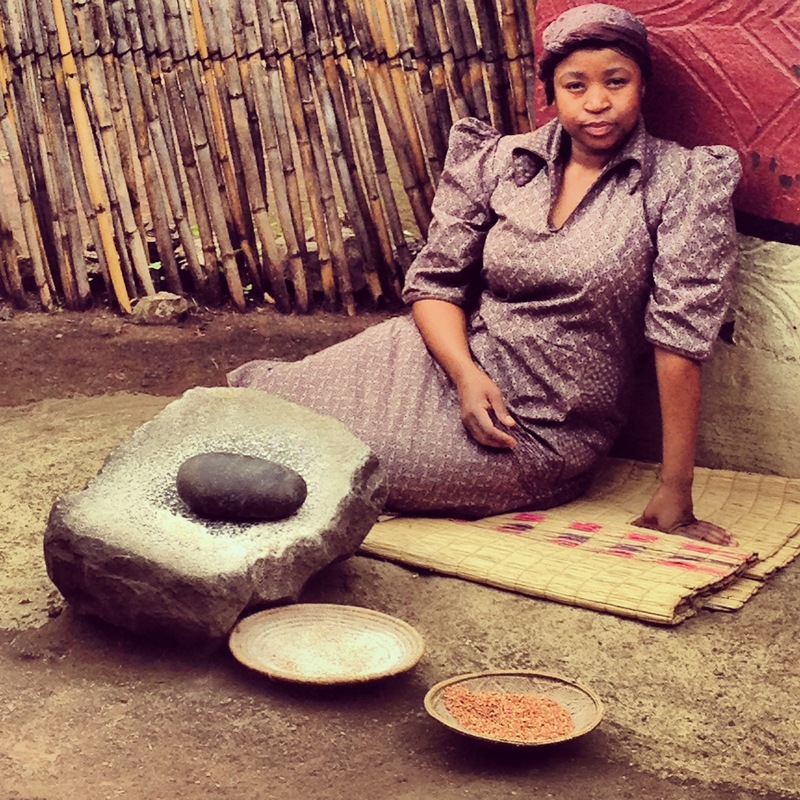 This woman sat outside her home (a painted stone circular room with a wooden roof) and ground maize all day. Everything she used had either been made or found by her people. 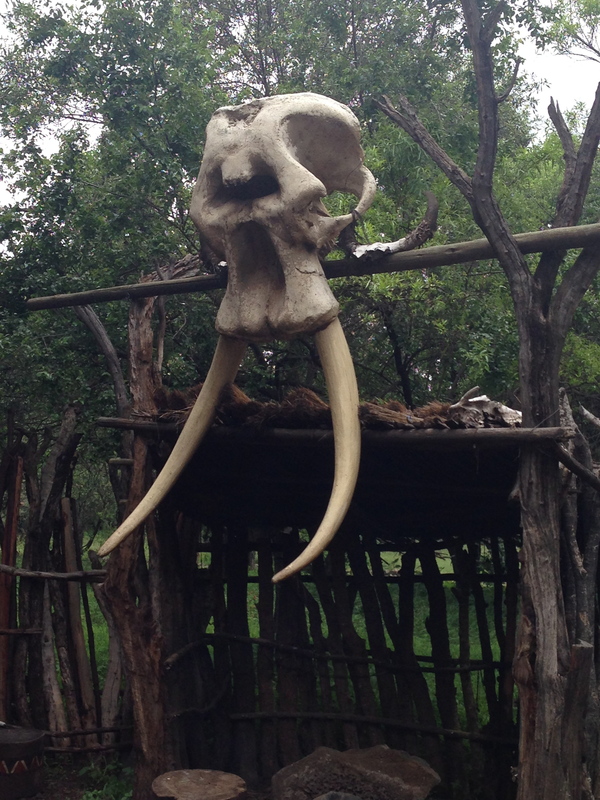 The Zulu people decorate their camp with the bones and skulls of all living things. They are a people who take precautions for their safety, and they are culturally known as the warriors of southern Africa. Their battle stations are protected by great and menacing skulls and tusks that represent how successful they are in their conquests. 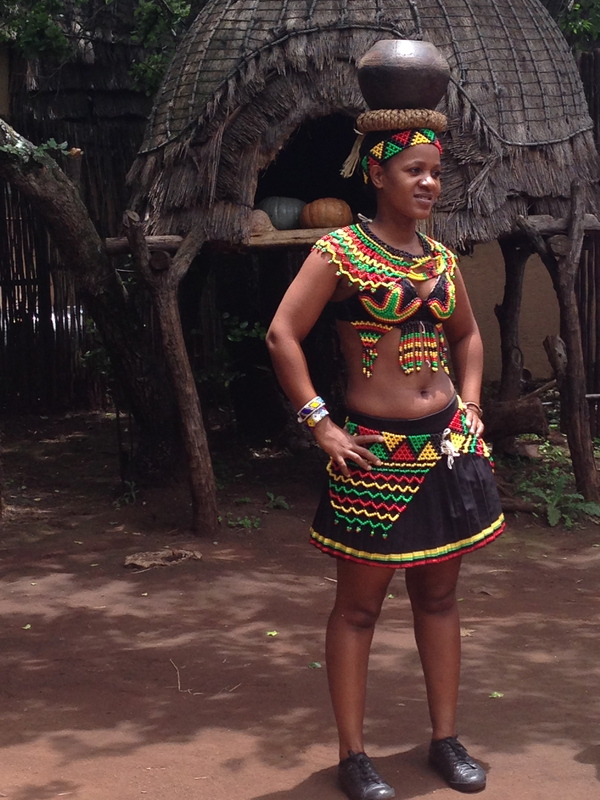 Here’s a Zulu warrior. He’s high up in the ranks of the army, with responsibility over the safety of the tribe. He is skilled in the use of spears. I found it interesting to see how different tribes adapted their costume to their overall identity. The biggest surprise to me was this guy’s little hat. It represents the mountains and the spiritual pinnacle of their tops. 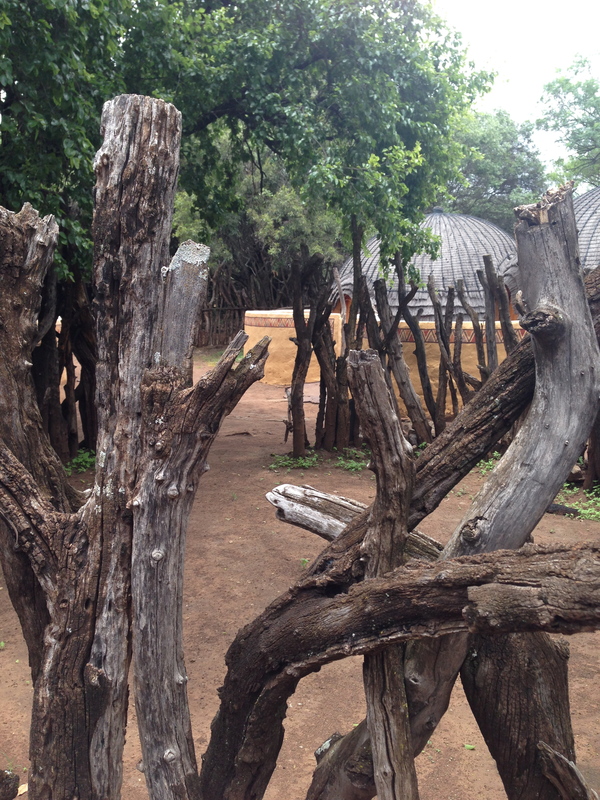 One of the tribes put their cattle in the very middle of their community, surrounded by heavy branches for protection. At night it’s important to keep the cattle safe from wildlife (lions!). 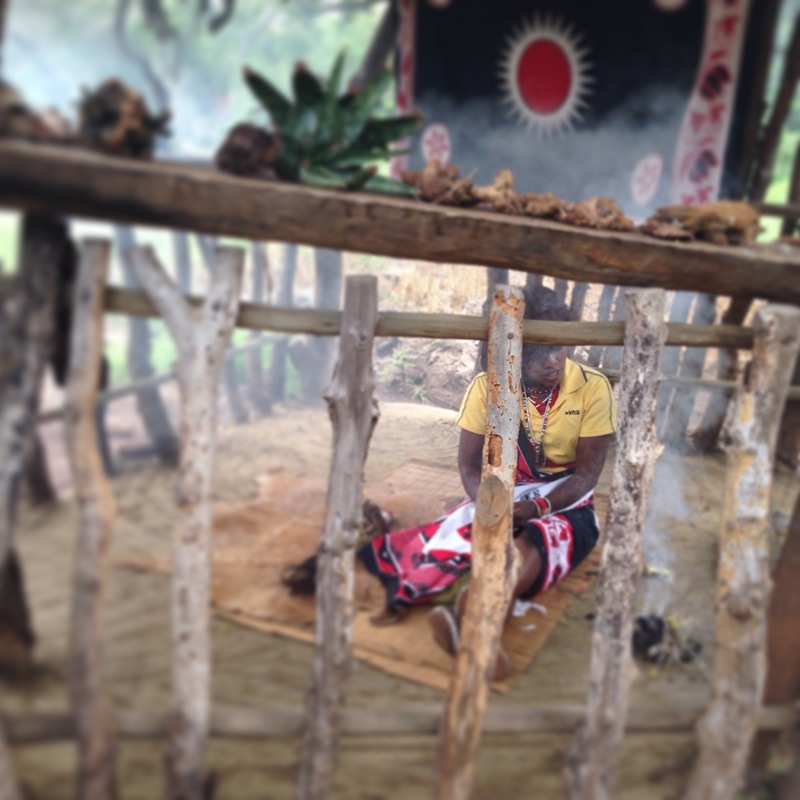 Here’s one of the village’s witchdoctor. She is consulted for medical reasons and for matters of spirituality. She can tell your future too. When we were here she was burning marijuana and other herbs. 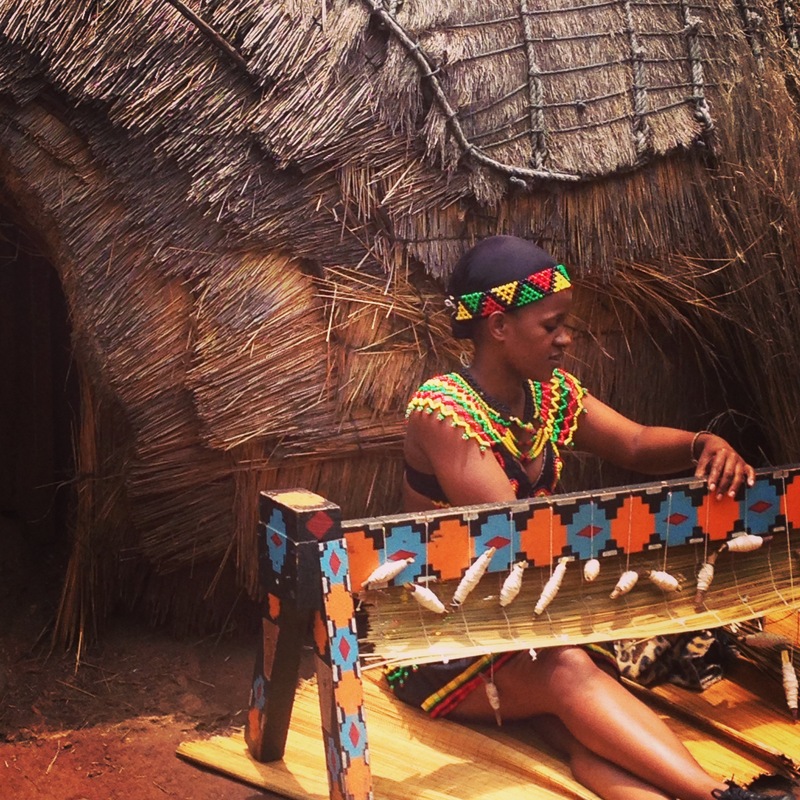 Here’s a Xhosa girl weaving straw mats. She wears colourful beaded garments. I can’t remember what this picture was all about but I think it has something to do with her being single and looking for a husband or something. So we have that in common. This guy is the watchman for his tribe. 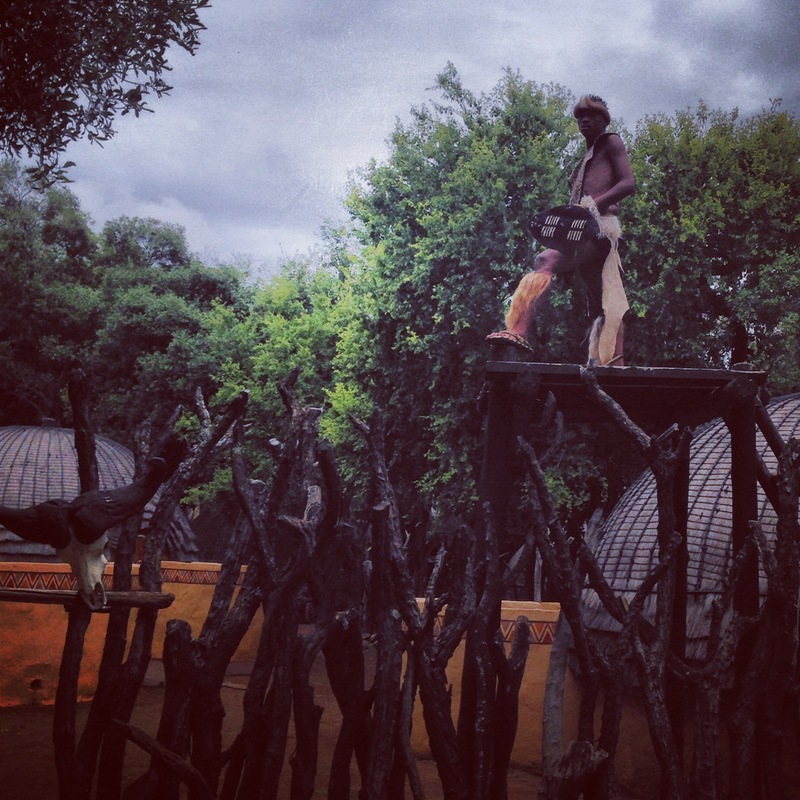 He stands guard over the village gates and checks with the Chief before he lets anyone enter the community. 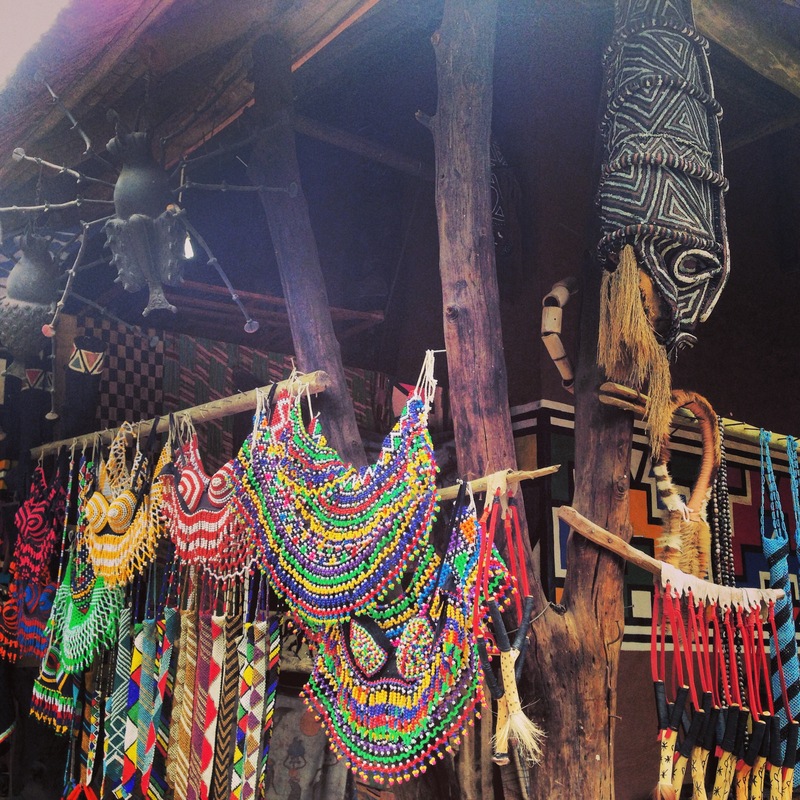 They knew I was coming: behold the “gift shop,” where one can purchase their very own beaded bra, tie, or sling shot. 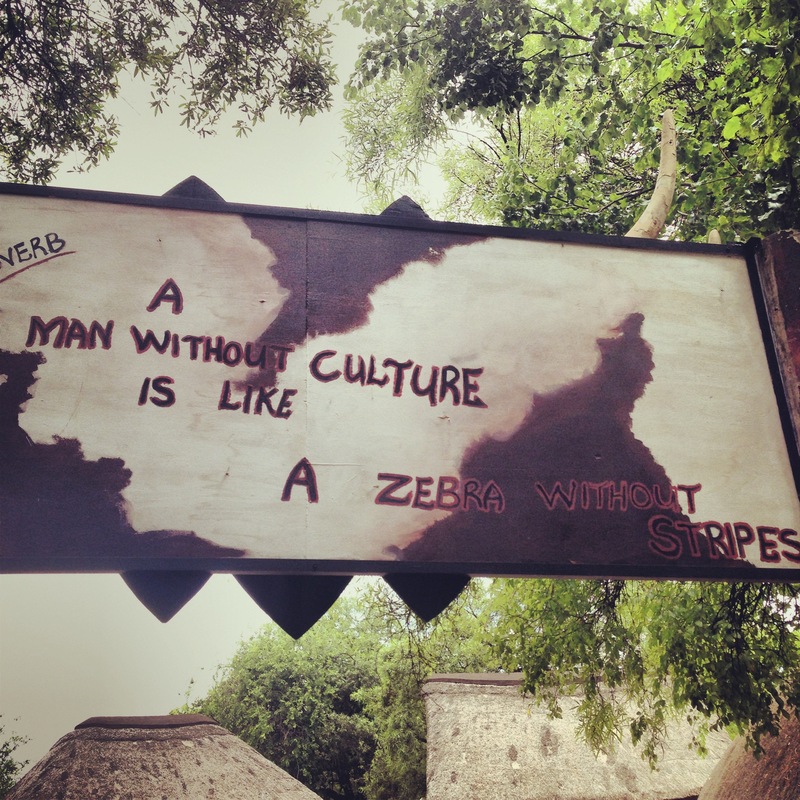 In all seriousness though, I love that Lesidi offers others a chance to see how culturally different peoples can be. I love seeing what’s most important to them and why, and I like to consider what I in turn feel is the most important thing in my own life. To what extent am I an extension of my community, and how do I think I contribute? I think I’ve been ridiculously blessed to be able to travel a little and to at the very least observe, if not participate, in other cultures. The biggest mistake man can make is to enter another’s surroundings and immediately think there is a problem to be solved, or a way to improve something- because it will only ever be by a very limited perspective. I just couldn’t help thinking that my life could be greatly improved by paying more attention to the things that some of these tribes considered more greatly than other things.